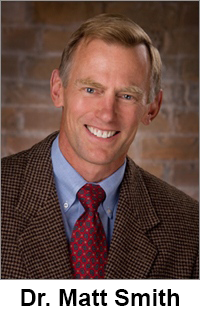 Dr. Matt Smith holds a Bachelor of Science degree from Cornell University, as well as a Doctor of Chiropractic degree from Palmer College of Chiropractic West. He is a diplomat of the National Board of Chiropractic Examiners and is licensed by The New York State Board of Chiropractic. To provide the best treatment available, Dr. Smith pursues courses of advanced education in his own and related fields. He has completed post-graduate work in the non-surgical treatment of neck and back pain, sciatica, sports injuries and wellness. Dr. Smith has developed numerous home stretching and exercising programs, which can be seen on YouTube. He also writes a monthly newsletter on general health, and wellness. Dr. Kevy Smith graduated from St. Lawrence University in Canton, NY with a bachelor’s degree in psychology, and Palmer College of Chiropractic- West in San Jose, CA with a doctorate of chiropractic degree. While attending school at Palmer, Kevy was a member of the Palmer West Sports Council where she gained valuable hands on experience providing on-site care to athletes at a number of major sporting events. As a member of SACA, she attended the annual NCLC event in Washington, DC where she met with congressional policymakers and lobbied on behalf of the chiropractic profession. 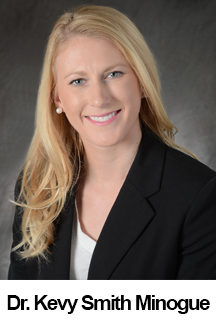 Dr. Smith believes in tailoring treatment plans to fit the specific needs of each of her patients and she strives to help each person reach their healthiest potential. She employs a mixture of manual adjusting, myofascial release techniques, physiotherapies, and rehabilitative stretches and exercises to get fast and effective results. When she is not caring for her patients in the office, Kevy enjoys being outdoors, traveling, and spending time with her family. She is an avid skier in the winters and spends her time on Lake George in the warmer months.